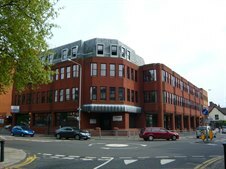 Cattaneo Commercial has secured the letting of the 3rd Floor, The Malt House, 25-29 High Street, Kingston upon thames, KT1 1LL to Protocol Education Limited. The office suite comprises 2,851 sq ft and has just been refurbished to a high standard. If you have office space you wish to let or sell then please contact Andy Armiger on 020 8546 2166.